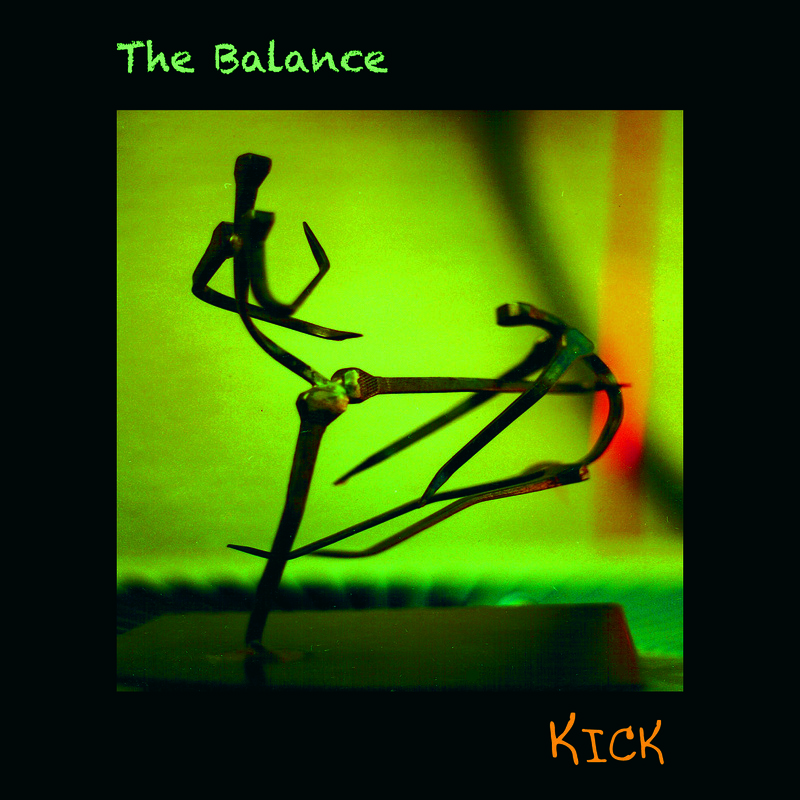 An early lineup of The Balance: Craig Lachmund, co-composer and guitars; Steve Cooper, Electronic Valve Instrument and keys; Tim Mallot, drums; Mark Manley, co-composer and basses; Deniece West, guest vocalist; Jon Uban, keys. "I've got a name I've been saving up," I said. "How about, The Balance....?" It was agreed--- we were now The Balance. It was while playing with The Balance that I really began to learn my craft as a bass player. It was also my good fortune to learn from some of the best musicians in the world through this experience. Take a look at the album credits and you will see names that arguably represent some of the finest on their respective instruments. Being a household name is great, but being truly great is better. I suspect that if Chicago had had the same press opportunities as New York, some of these folks would indeed be household names.... It has been an honor for me to share the same stages. I would also like to thank Daniel Lopez, one of the greatest musicians I know--- whose axe is actually a paint brush--- for his major musical influence during this time. I hope you enjoy listening to this vibrant, soulful, funky music as much as we enjoyed creating it for you. Who Can Make You Whole Again? An early lineup of The Balance. Pictured are Carl Coan on sax; Mark Manley on bass; Robert Baglione on guitar; Tommy Lentz on drums. 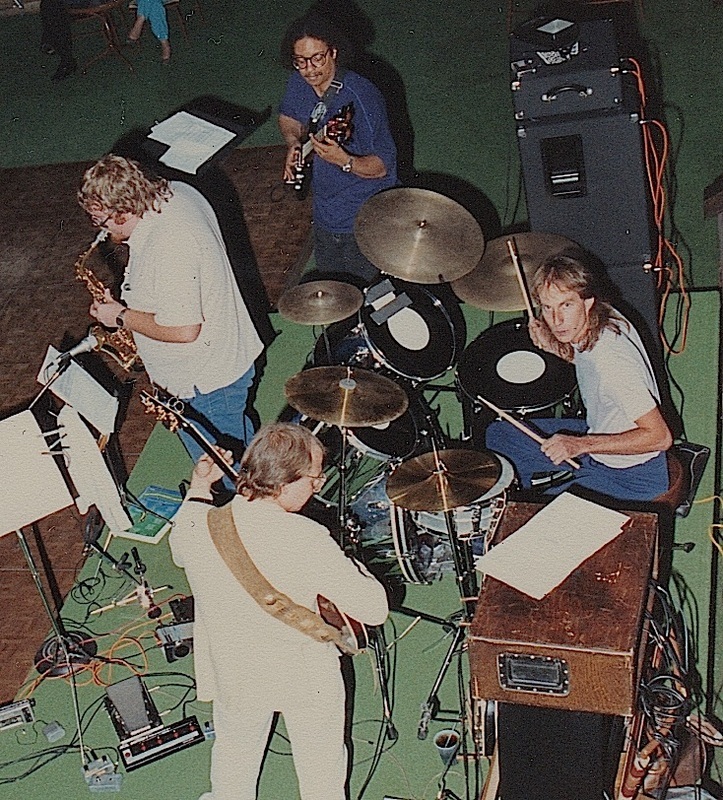 Pictured, the longest lasting lineup of The Balance, featuring Carl Coan on saxes and Electronic Wind Instrument; Robert Baglione on guitars; Mark Manley on fretted and fretless basses; Robert Gates on drums. "The Balance" featuring bassist Mark Manley is in my opinion a raw and organic collection of music in the Jazz Fusion Vein. Mark's playing is very reminiscent of Stanley Clarke's which is never a bad thing. What Mark does additionally is that he takes what Stanley does a step further by adding a distinct element of "Wildmanism" if you will. "The Balance" will definitely take you on a musical journey through hills and valleys, water and earth." "We're losing the patient! Nurse; 10,000 cc's of 'MONSTER BASS' stat. This album is a must have for mad-scientist-musicians and the general public alike. Mark Manley's bass playing, and compositions are serious as a heart attack, but a lot more fun! Bass players have a new hero." "An exceptionally fine CD release reminiscent of... Tony Williams... Alex Acuña's drumming... Al Dimeola... John McLaughlin's guitar work... Wayne Shorter, Joe Farrell's sax work... and excellent Bass Work that puts me in mind of Alphonso (Slim) Johnson... Uncle Stanley, Uncle Abe Laboriel... Victor, Marcus.... and My Mentor, Gil Scott-Heron. But this, somehow is some kind of N.F.S. (New Fresh Sound ) The Balance. Much needed in the world!" "Mark Manley steps Deep into the Funk. Sharp, Witty lines that never let you down. Thank you for your Inspiration Marcus Aurelius..."
If you are a reviewer, please click here for access to the album tracks.